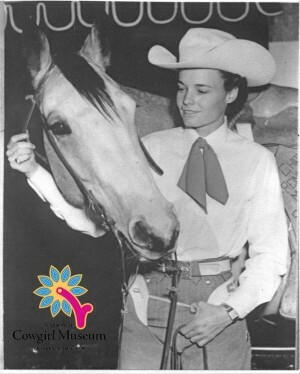 Nancy Binford, one of the country’s premier horsewomen, won many horse shows, races, and cutting horse championships, but she is be best remembered as co-producer, with Thena Mae Farr, of the Tri-State All-Girl Rodeos. Really “all-girl” from the contestants down to the judges, clowns and staff, the organization created opportunities for rodeo women not found in any other venue. Nancy also helped organize the fledgling GRA and served one term as president.